Tennessee rockers The Features have become one of my favorite bands through double-osmosis: I dragged my wife to a Kings of Leon show a few years ago and they were one of the opening acts. So impressed with their sound, my wife did something she never does and actually went out bought some of the bands CD’s. The Features are probably one of the hardest-working bands I’ve ever had the pleasure of seeing–six times in less than 4 years. Beyond the endless touring, however, The Features also consistently release an album every year (give or take) that’s really good. The band’s song writing has not only been solid as a rock, but they’ve done that rare thing in rock where they’ve stayed true to themselves while still managing to grow artistically AND appeal to an increasingly wider audience. Most recently, the band was featured in a national TV spot for a big American car company. 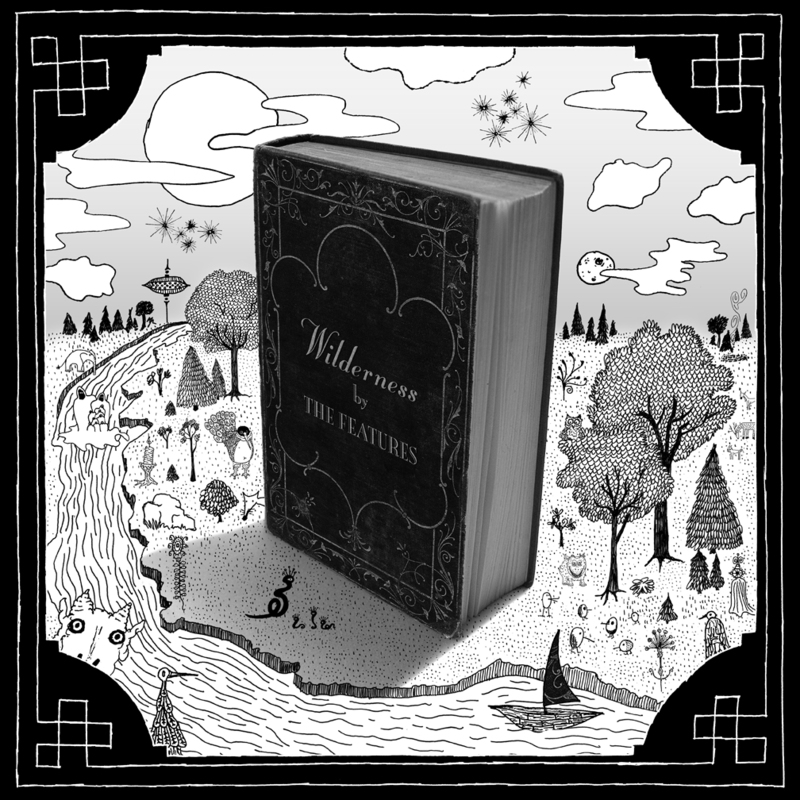 WILDERNESS, the band’s latest album is fantastic…but you should hear them all. The Features seem to be a band on the verge of breaking big, and when that day comes I’m going to feel very smug. But because I’m a Hipster-Soothsayer, I’m going to be a bit sad, too. I mean, can a band so down-to-Earth and workman-like endure the harsh spotlight? I wouldn’t think so, but then I heard “Fats Domino” from the band’s most recent album WILDERNESS. “Fats Domino” is a soft battle-cry, but a battle-cry nonetheless. It’s about all the things we need, or don’t need. It’s a list of everything not needed…and the one thing that we can’t live without: Rock ‘n Roll. “You can take everything except my rock ‘n roll, my love, put down Fats Domino.” The song, which is in the context of a relationship ending, on the surface is about a dude asking for his records, but beyond the surface “Fats Domino” is about nourishing, enduring magic of rock music. We live in a modern world full of so much crap that, quite frankly, none of us need. “Fats Domino” is a song written by a band that has it’s priorities in order and their heads on straight. That it’s called “Fats Domino” and not “Elvis Presley” or even “Chuck Berry” is both telling and extremely comforting. Not only do The Features know where they as a band are going, they know where rock has been. I think this sort of musical literacy and historical awareness is not only endearing but also very comforting. I’m comforted that The Features love rock music. They don’t just live it, eat, sleep, and breathe it–they know it intimately. The Features aren’t rock stars, they’re craftsmen. The albums they make are strong, sturdy chairs like those built by master-carpenters; beautiful to look at but also very functional. So I don’t worry about The Features getting success and losing their heads. The only thing that I worry is that the success will remain elusive for them, not for their sake….but yours.